← Does Big Food Influence Food Guidelines? 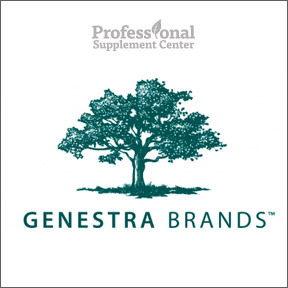 For 28 years, Genestra Brands™ has offered comprehensive synergistic formulas backed by clinical research and science-based evidence and has been known for proven safety, efficacy and reliability. Genestra Brands™ imposes rigorous manufacturing standards from raw materials and preparation to bottling and storage to ensure the highest quality dietary supplements. All products are manufactured in compliance with FDA and GMP regulations. In addition, formulas are NSF certified, ensuring that products meet strict standards for public health protection. Pure, natural ingredients are sourced from trusted global suppliers and, in order to meet the needs of those with chemical or allergen sensitivities, all unnecessary agents are avoided. Genestra Brands™ adheres to full label disclosure, listing all ingredients, including standardization of herbal extracts and the true elemental weight of minerals. Independent testing validates the quality, stability, potency and purity of every formula from raw materials to finished products. Genestra Brands™ is committed to supporting the advancement of clinical excellence in patient centered care and does so by collaborating with naturopathic physicians, healthcare professionals and various healthcare institutions. Genestra Brands™ quality formulas are available solely through healthcare professionals. HMF Forte – This moderate level, long-term maintenance probiotic provides 2 strains of proprietary human-sourced Lactobacillus acidophilus, plus Bifidobacterium bifidum and the prebiotic fructooligosaccharides (FOS). Provides 10 billion CFU per dose. Gluten and soy free, vegan formula. Liquid B Complex – This easy to take, well balanced, high potency formula provides an excellent source of broad spectrum B-complex vitamins to aid dietary metabolism, red blood cell formation and maintenance of overall good health. Pleasant tasting, natural cherry flavor. Gluten and soy free, vegan formula. Bio Enzymes – Naturally peppermint flavored chewable tablets provide a complete spectrum of digestive enzymes in support of optimal digestion and absorption of nutrients. Gluten and soy free formulation. D-Mulsion 1000 – This liquid vitamin D formula utilizes a patented emulsification process that potentially improves bioavailability. Great tasting spearmint flavored liquid may be dropped directly onto the tongue or mixed with liquid. Gluten free. This entry was posted in Health & Wellness and tagged Bio Enzymes, D-Mulsion 1000, HMF Forte, Liquid B Complex, Professional Supplement Center, www.professionalsupplementcenter.com. Bookmark the permalink.